Planning to get married? Congratulations! But before any wedding planning, first thing to look into is your engagement ring or your wedding ring. 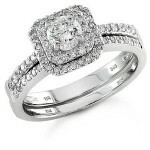 The engagement ring is a ring that indicates that the wearer is engaged and will be married soon. The wedding ring, on the other hand, indicates that the wearer is married. There are instances that the engagement rings are also used as wedding rings. But most of the time, only the woman gets to wear an engagement ring and during the wedding planning stage, the soon-to-be husband and wife will look at wedding rings together. There are so many ring designs to choose from. You can find ring designs that suits you from cheap to the most expensive ones. If you want to see what is in for the year 2012 to 2013, here is the guide for you. The classic wedding rings never went out of style. They are simple yet sleek and classy. 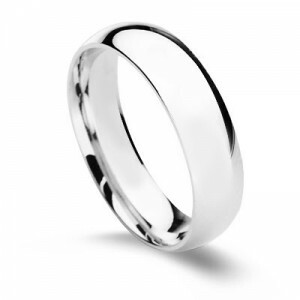 A plain wedding band is appealing and is normally accented with engraved messages or names. They said that diamond is a woman’s best friend. And most often than not, engagement and wedding rings are surrounded with diamonds. 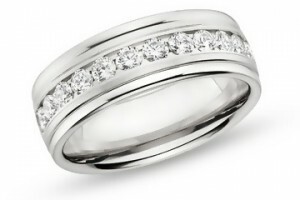 One of the trendy wedding rings today is diamonds in platinum band and surrounding the main diamond. Wedding rings with colored stones can go modern (with tension setting), classic (with four-point setting) or vintage (with filigreed setting). 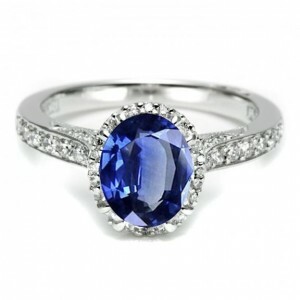 Having your favorite color or your birthstone can both give you a stylish wedding fashion statement. Vintage-inspired wedding rings are in. The fine and delicate look of vintage rings from its old European round center cut and Asscher cuts, to its minimal engravings and delicate stones, you will never go wrong. Wedding rings are the symbol of your commitment, personality and taste. Start searching for your perfect rings through magazines, online catalogues, and jewelry stores. You can also approach a trusted jeweler to get professional advice.